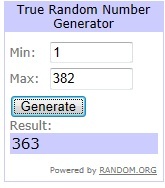 I have chosen three winners using the random number generator. Drumroll please…. 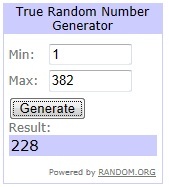 1st Place Winner of $15.00 Dollar Tree Gift Card AND any 3 items from my TPT store AND the Dice Domes and extra dice from Learning Resources…. Congratulations ladies!! Please email me at ashleymagee@firstgradebrain.com with your mailing address AND let me know which TPT item(s) you’d like from my store. Remember, 3rd place gets 1 free item, 2nd place gets 2 free items, and 1st place gets 3 free items! Please contact me ASAP! A HUGE thank you to ALL of my new followers here, on FB, and on Twitter! I look forward getting to “know” you all and checking out your blogs too! SHUT UP!!!! I was slowly scrolling down hoping I would see my name and then I DID!!!!! How am I the luckiest girl in the world? !